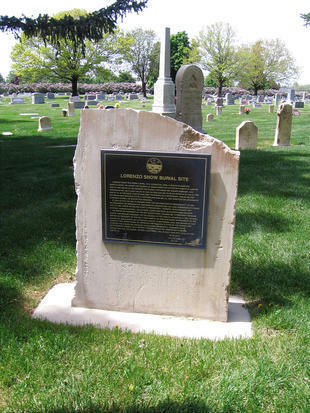 For Memorial Day this year, I gave a young friend a cook's tour of the Brigham City cemetery. I think young people need to get close and personal with a graveyard. It sobers them up a little. I showed him the massive John Bott monument (Brother Bott made grave markers for a living). I showed him where my wife and I planned to be "planted" (an old grave-digger's term I learned when I worked there). And, of course, I took him by the mini-monolith of Lorenzo Snow, the fifth president of the LDS Church.